The UK has a lot of commercial international airports, but the question is about the most popular UK airports. There are the largest airports and biggest for passengers’ services, which is nearly 100 million. The UK has all kind of international and domestic airports. In the UK, the architecture can be breathtaking and the major airports in the world are an experience in itself. Currently, London’s Heathrow is the busiest one in the UK. It serves passengers for external flights to the rest of the world and the domestic flights within the UK. That’s why it’s the hub for connecting flights to many countries globally. Because it takes hours to drive from one end of the country to the other as the UK is a small country. This is the cause of being the domestic airports popular. Although it’s the home to many of Europe’s largest and UK popular airports, this is an island country. As it’s already stated that London’s Heathrow is one of the busiest airports in the UK, so it’s the popular one as well. This is the airport where over 75 million international passengers are annually handled. With six international airports, handling over 163 million passengers, London serves as the largest aviation hub in the world by passenger traffic. On the other hand, London-Gatwick is London’s second-busiest airport so far. And if you want to know about the third one, that’s the Manchester Airport. 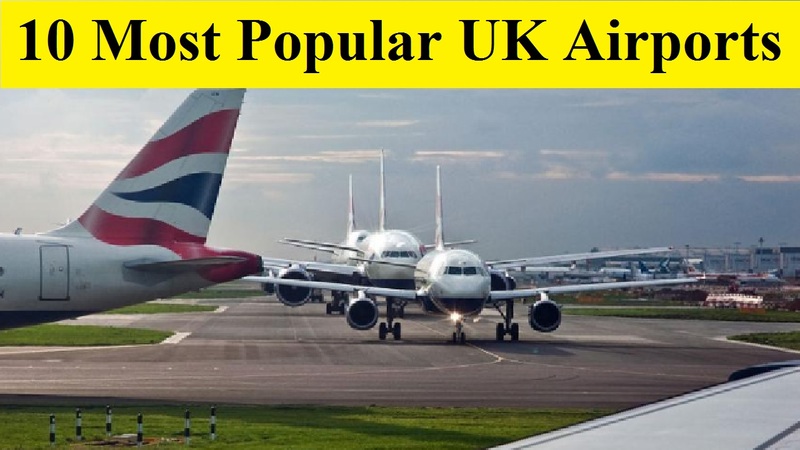 Below you’ll know about all of the 10 most popular UK airports in short details. With traffic growing by more than 3% compared to this year, London Heathrow Airport has been witnessing a surge this year. It’s serving approximately 191,200 passengers daily and more than 50 million in a year. This airport is located 22-kilometers west of central London and it’s owned by the British Airports Authority (BAA). Also, it’s featuring two runways and five terminals in an area of 227 hectors. There is the Traffic Control Tower that’s high 87 meters, which is the world’s tallest one. Also, it connects 184 destinations in 80 countries and serving 84 airlines. Formerly it was known as London airport when it starts operations officially in 1946. London Gatwick Airport is the second busiest airport in the UK that’s handling more than 24 million passengers in the year leading to August. Although the airport’s ownership was transferred to Global Infrastructure Partners (GIP) in December 2009, it was initially owned by the British Airports Authority. There are 45 airlines connecting 197 international destinations in 90 countries. Also, it has 12 domestic destinations in the UK. This airport features the world’s busiest single runway, which is about 48km from London. 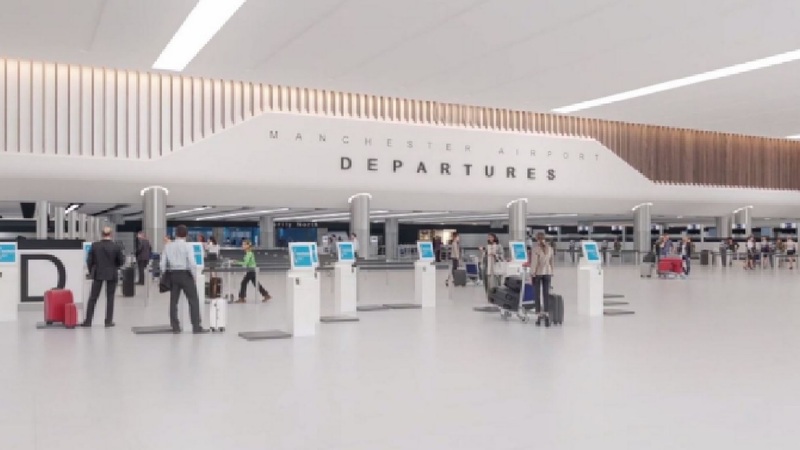 This is the main international gateway for the north of England and is the largest regional airport in the UK and locates within a 20-minute drive from central Manchester. While making it the third popular in the UK, the airport handled more than 13.5 million passengers during the first eight months of this year. The owner of the airport is the Manchester Airports Group (MAG) and they operate it as well. It serves 225 destinations worldwide along with more than 100 airlines. In the June of 1938, the airport was officially opened. With four kilometers in length and handles 20,065 bags on an average day, it’s the largest baggage terminal in the airport. Becoming the fourth among the popular UK airports, London Stansted Airport served more than 12 million passengers in the first eight months of this year. Although the ownership was transferred to Manchester Airports Group (MAG) in January 2013, it was formerly owned by BAA. While making it the fourth popular in the UK, the airport handled more than 10 million passengers during the first eight months of this year. In 30 counties, the airport serves 12 airlines and connects more than 150 destinations. Moreover, there are 110 aircraft parking stands, a 3,048m single runway, 125 check-in desks, and 25,726 car parking spaces. Locating about 32km from London’s northern fringes, London Luton is one of the popular UK airports. From January to August 2018, the airport served more than 6.5 million passengers. As Luton Municipal Airport, London Luton Airport was officially opened in July 1938. Serving more than 90 destinations, the airport has a 2,160m runway and two terminal buildings. Besides, it provides to an additional 15 to 16 million passengers per annum by 2028, which is the capacity expansions are expected to be carried out in the next 15 years. This is because it’s one of the popular UK airports. This is the sixth busiest airport in the UK that’s opened in 1977. Currently, it serves about 24,600 passengers on an average day and it handled around 6 million passengers in the first eight months of this year. In June 2012, the airport is owned and operated by Global Infrastructure Partners (GIP). There are features two runways and a terminal and the airport serves 40 airlines. Because of these it’s one of the popular UK airports. Becoming the seventh among the popular UK airports, Birmingham Airport served about 6 million passengers from January to August 2018. The airport is located 75km from central London and about 13km east of Birmingham city center. The owner of the airport is the seven West Midlands council authorities Employee Share Trust, and Airport Group Investments. With an investment of £100m ($160m), the two airport terminals were joined into one in 2011. It’s served more than 4.9 million passengers from January to August 2018 and located approximately 11km west of the Glasgow city center. On an average, up to 20,000 passengers pass through the airport’s terminals every day. BAA owns the airport. There are two terminals and a single 2,658m long runaway. It connects 100 destinations to serve 30 airlines. In order to increase the passenger capacity to more than 24 million by 2030, the airport published its 25-year outline Master Plan. This is because it’s one of the Best UK airports. Located 13km south-west of Bristol city center, Bristol Airport is at the ninth place at the popular UK airports list. Besides, handling more than 700,000 passengers, the airport also witnessed the busiest month in its history in August. It’s currently owned by Cintra and Macquarie Bank and it was officially opened in May 1930. The airport authority has a plan by 2020 to handle 10 million passengers per annum. Because of these, it’s one of the top 10 busiest airports. Toppling Liverpool John Lennon Airport as the UK’s tenth busiest airport, Newcastle Airport witnessed a surge in passenger traffic in the first eight months of 2018. This is because it has handled more than 3.11 million passengers from January to August of this year. In 1935, it was opened officially and now it’s owned by the local authorities. With 26 passenger aprons and three freight aprons, it has a terminal and a 2,329m long runway.